Not one to make travel goals, I did make one when coming to Spain: travel to all 17 autonomous communities at least once before going home. While Madrid, Barcelona and Seville are the stars of the tourist dollar show (and my hard-earned euros, let’s not kid around here), I am a champion for Spain’s little-known towns and regions. Having a global view of this country has come through spending ample time in Andalucía, Galicia and Castilla y León – vastly different in their own right – plus extensive travel throughout Spain. I’m going to go out on a limb and say you’ve probably not heard of March’s comunidad, Aragón. But I’m pretty positive you’ve heard of Christopher Columbus and the Catholic Kings, Ferdinand and Isabel, whose marriage in the mid 15th Century would ultimately lead to Spain’s Golden Age. Provinces: Aragón is divided into three provinces – Zaragoza, Huesca and Teruel – and really only has two large cities – Zaragoza and Huesca. The region is comprised of a number of small towns and is best-known for its role in forming modern Spain as the Kingdom of Aragón. About Aragón: The region is rich in the historical, architectural and natural senses. Its mudéjar buildings and plush river valleys take a lot of credit, but given how important it has been historically is worth exploring, too. Aragón became a self-proclaimed kingdom over a millennia ago, eventually claiming parts of Italy and Greece, as well as Corsica and a large part of the eastern coast of Iberia. The kingdom grew when Ferdinand of Aragón married Isabel of Castille, becoming one of the powerhouse couples of Spanish history and reconquering Spain from the Moors. What remains is a region that seems just as seeped in lore as Andalucia, from the traditional costumes and festivals to the devotion for the local virgin, Nuestra Señora del Pilar, whose feast day coincides with Spain’s national festival. 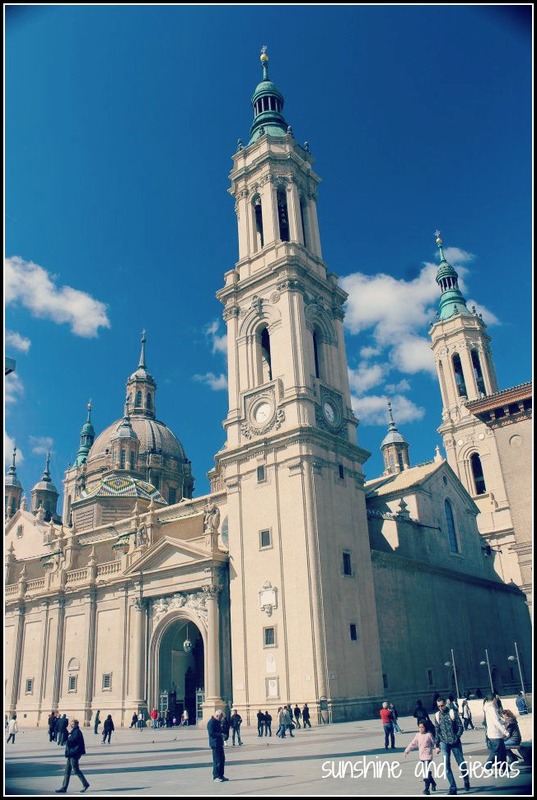 Must-sees: Zaragoza has a number of sites in its old town, from the Basilicia de Nuestra Señora del Pilar and it’s beautifully tiled roof to the modern Expo site across the Ebro. 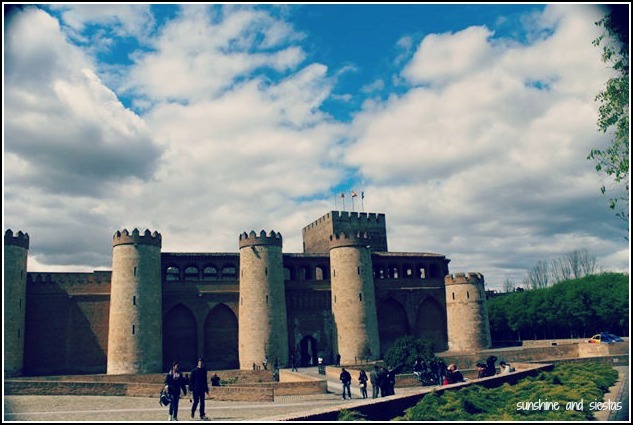 The region’s capital (and the fifth-largest city in Spain) is also home to the Seo church and the Moorish Palacio de Aljafería, which now houses the provincial court system. It’s a city you can experience in a day, to be honest. If you’re into castles, history and architecture, check out the castle of Loarre in the Huesca province, the city of Teruel (sí, existe) and the village that has been ranked as one of Spain’s most beautiful, Albecerrín. Jaca is also full of religious museums and temples. Outdoor lovers, rejoice! Because of the low population density in the autonomía, there is plenty to explore. Huesca is one of Spain’s snowiest zones, and the Pyrenees are home to a number of ski resorts with outdoor activities of every type. Check out the Ordesa and Parque de la Piedra national parks. My take: The Novio and I went to visit a friend of his from the Air Force Academy who flies a fighter jet at the nearby base. A ceutí by birth and an andaluz at heart, Gon did his duty to show us around Zaragoza during Holy Week. Unfortunately, crap weather and a flu bug had us all indoors, watching TV and ordering takeout for four straight days. Gonzalo claims that the draw of the province comes from the Pyrenees mountains, the rich gastronomy and the outdoor activities. We didn’t have a car to use that weekend, meaning we were stuck in the capital (and on the couch, ugh). Thanks to its connection on the AVE, it’s a city I’d be interested in seeing again, and I’m eager to see more of the comunidad. Each month for the next 15, I’ll take a look at Spain’s 17 comunidades autónomas and my travel through them, from A to, um, Valencia. I’d love your take on the good and the bad in each one, so be sure to sign up for my RSS feed to read about each autonomous region at the end of each month! 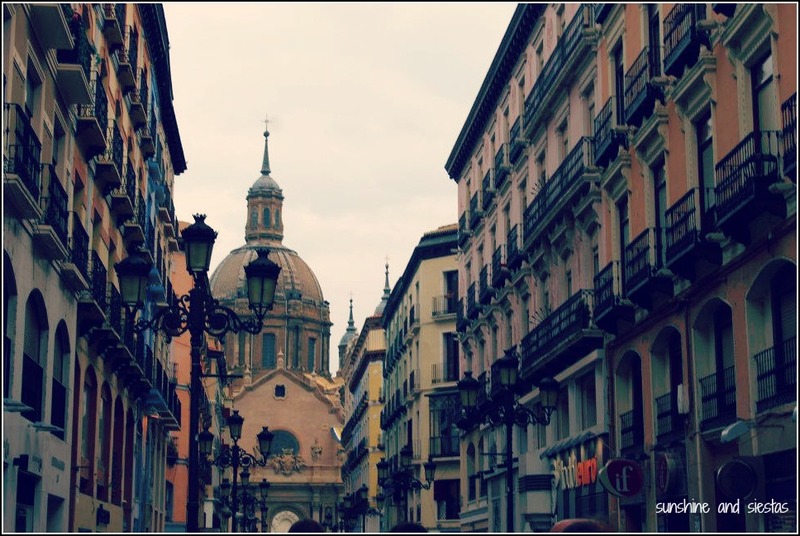 In case you missed it, I featured Andalucía, the region I live in, in February. 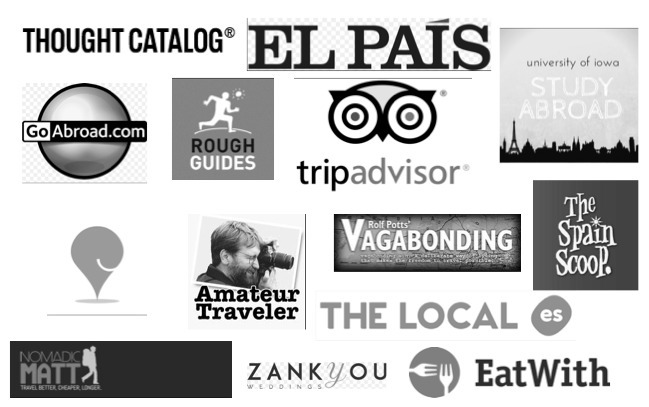 What do you love (or not) about Aragón? 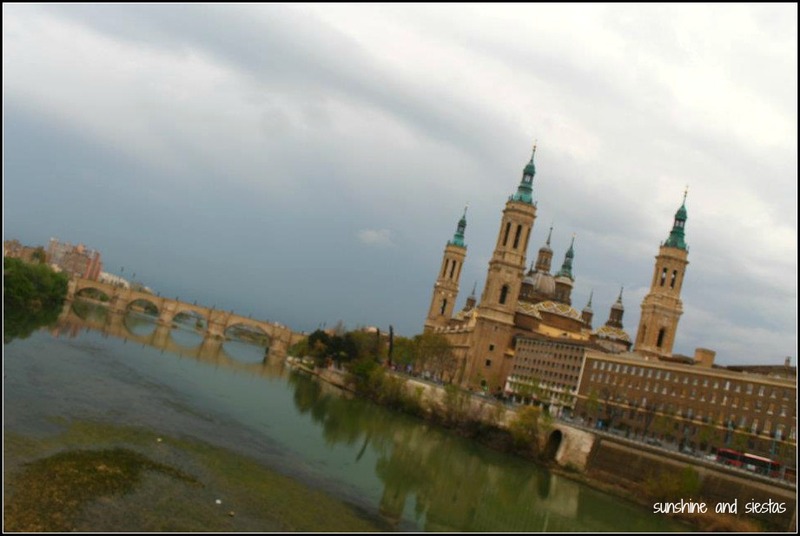 I went to Zaragoza once almost 30 years ago and remember the town square as being truly beautiful! hey you’ve described Aragon perfectly..i don’t think that there is something bad about that region….i’ve never been there phisically, but have seen it a lot on the telly of course. one of the things that makes Aragon unique and lovely is their famous and well known accent called Maño, not only they replace the ending “…ito” with “…ico” so bonito becomes bonico, but also they do accent on different syllables (all of this makes them lovable and a delight to hear). another important thing is their famous “jotas”, a dance that it is a must, although you may see it as an ugly dance if you are not into old and regional European dances. Awesome post! I really didn’t know much about Aragón besides its history, so I really appreciate all the info! Ever since I saw Trevor’s pictures from his recent trip I’ve been dying to go! I love me some lesser-known provinces!! I have this CA on my list, partly thanks to Trevor’s photos. Nice one Cat! You’re right, Aragon(along with Soria) is probably one of Spain’s least known regions mainly because it is in general logistically not easy to get to and being sparsely populated some people find that boring…not many big towns etc The Teruel and Huesca regione are fantastic for discovering small villages and very piatcuresque natural beauty away from the crowds.Albarracin is beautiful but its Sierra is even more beautiful. Like many regions in Spain, Paddy, I think that having a car is the best way to see these regions. I’d be willing to give Aragón another shot…just without the flu! SO HARD TO CHOOSE! Though I’m way biased. My story starts off a lot like yours, but I’m late to the blogging game that’s obvs. I was an auxiliar, milked it for 3 years, got married to a maño, worked around here and there and finally decided to start blogging. Yeah! Stoked to have found your blog for great inspo! Anwyays, Aragón: Sierra de Guara (pre-pirineo), Alquézar is rad, EVERY village in the Pyrenees.. Basically Huesca in its entirety. Though I don’t live there, sadly. Rivers, hiking, swimming in the summer and all winter sports in the winter. I can’t get enough! If you ever need travel tips for this region, we got you covered! Keep writing, girl! Hey chiki, mil gracias! We didn’t spend too long in Aragón but I’d love to do the rural thing up there. Will check out your blog!